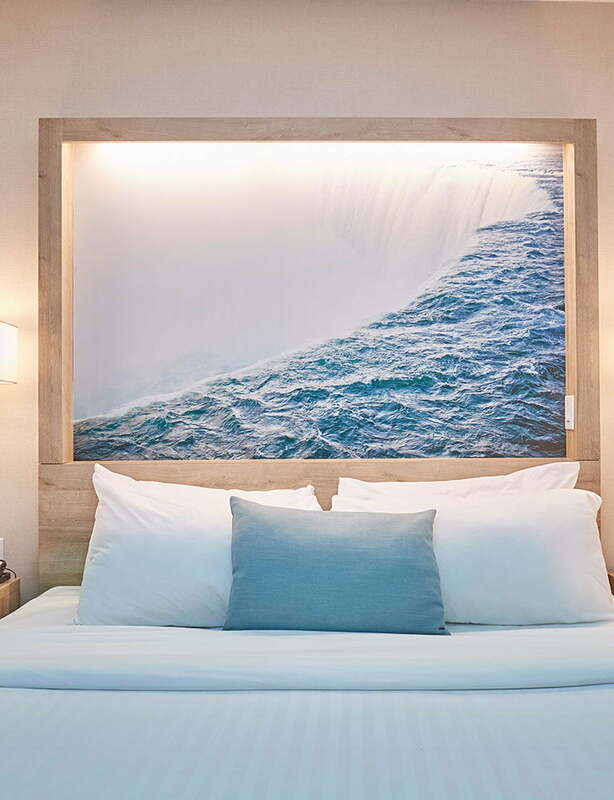 As one of the top boutique, luxury hotels in Niagara, the Vittoria Hotel & Suites offers some of the most stylish and affordable Niagara Falls accommodation in the area. Our hotel room amenities provide our guests with the comfort and convenience they require when they stay with us. 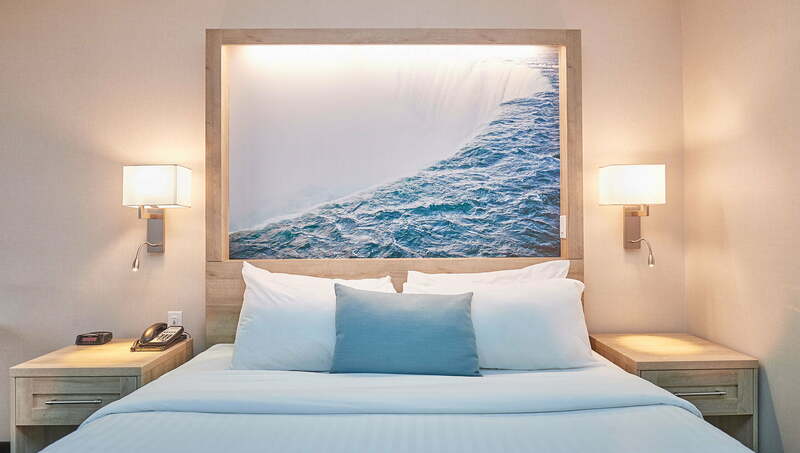 We offer well-appointed modern hotel suites with unbeatable city and Riverviews. 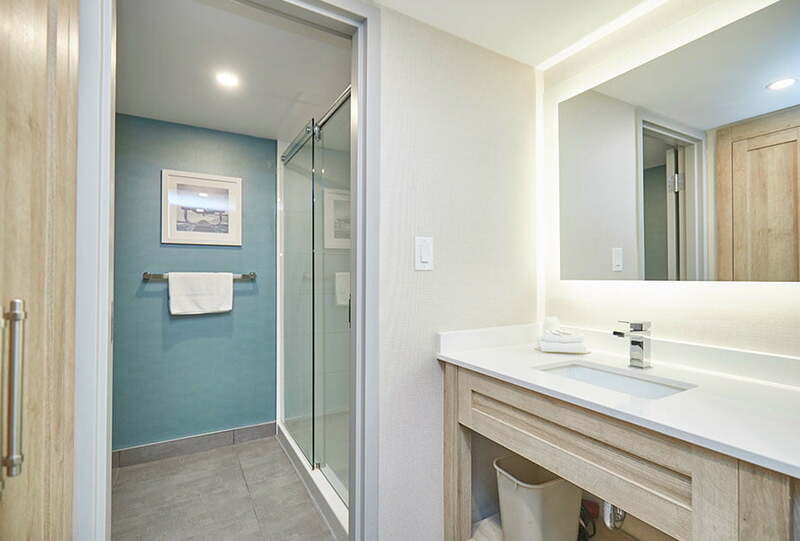 Some of our suite features and amenities include mini-fridges, 49" flat-screen TVs, coffee makers, in room safe, luggage rack and complimentary Wi-Fi internet access. We look forward to welcoming you to our property. 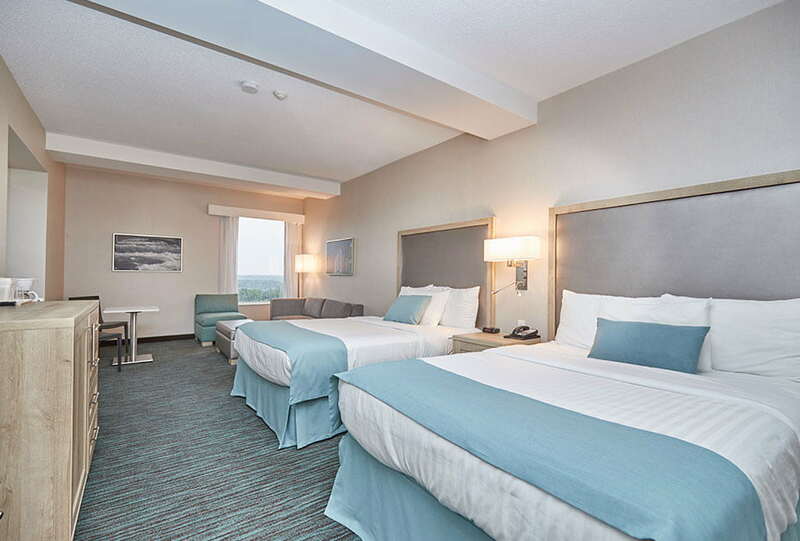 Contact us at anytime to learn more about our luxury accommodation, top-notch amenities and excellent hospitality services in Niagara Falls, Ontario. 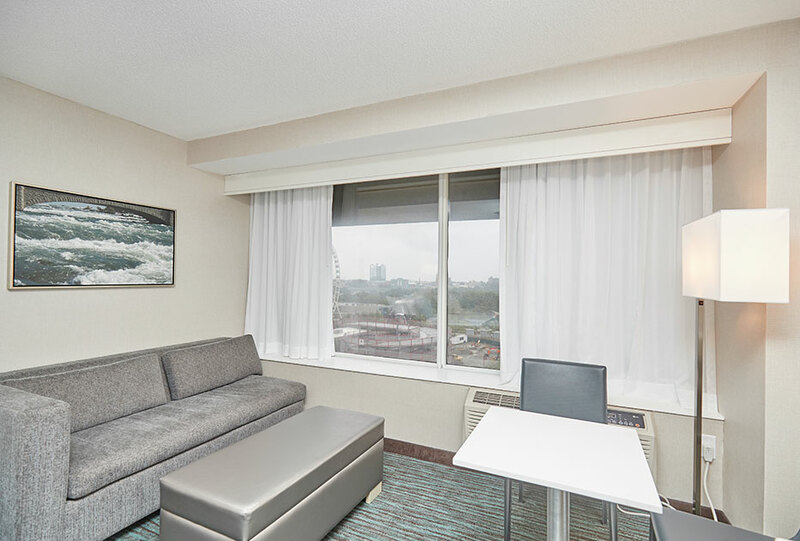 And when you’re ready to book, reserve your suite online using our secure, online reservation system. 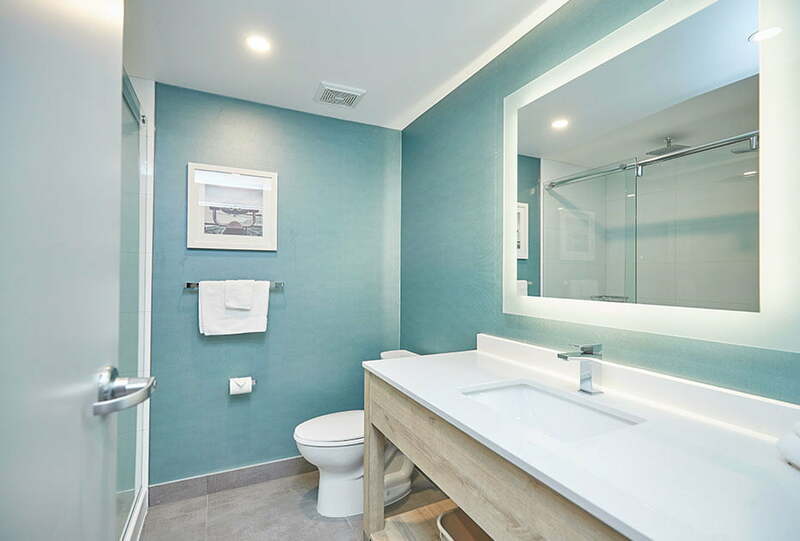 Our charming Junior Suite comes with all the conveniences and comforts of a home away from home. 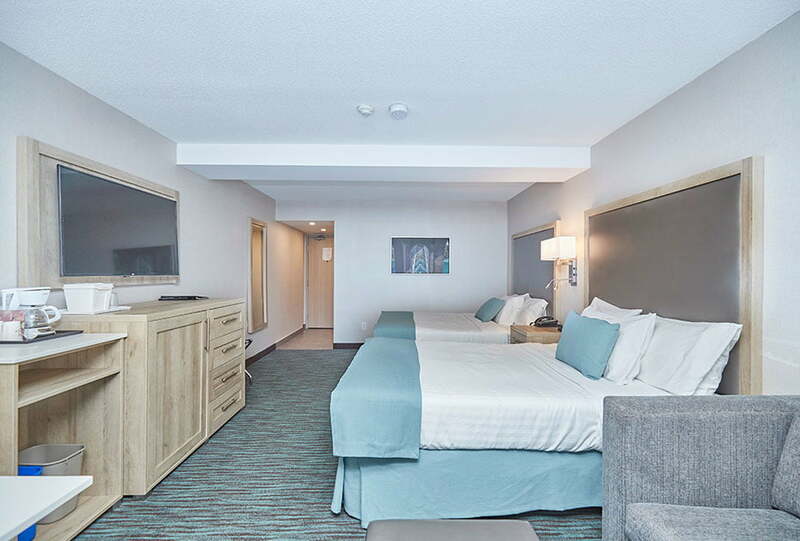 Features include two queen size beds and a sofa bed, ottoman, iron and ironing board, alarm clock radio, a mini-fridge, coffeemaker, complimentary Wi-Fi internet access and a 49" HD TV. This room accommodates up to six people. 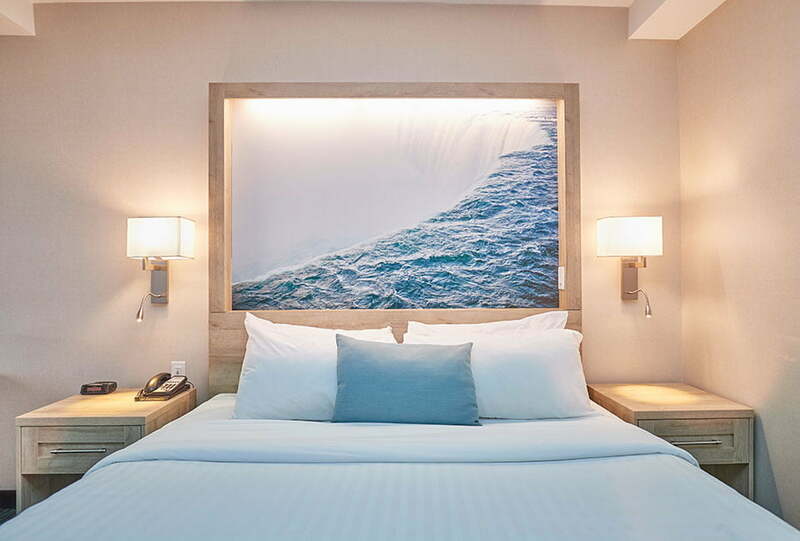 Perfect for couples, small families or those who require a bit more space, our Junior Suite with a King Size Bed has everything you need for a cozy and relaxing stay in Niagara Falls. 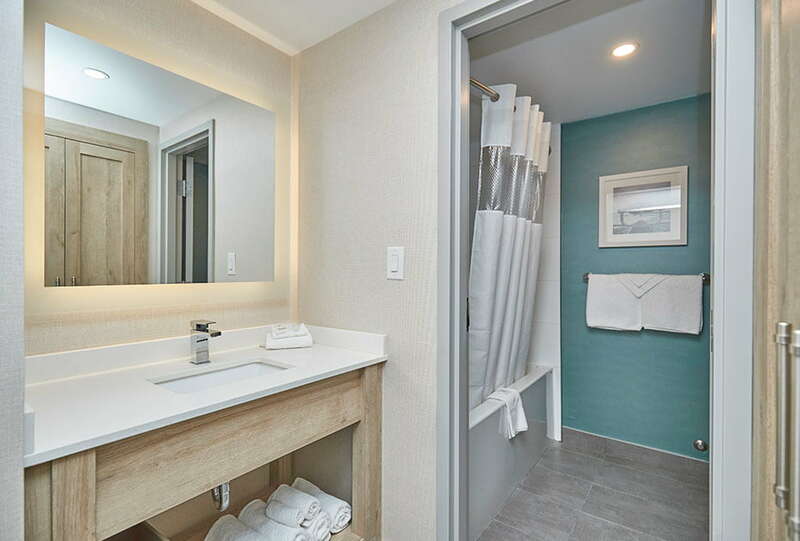 Amenities include a sofa bed, ottoman, iron and ironing board, alarm clock radio, mini-fridge, coffeemaker, complimentary Wi-Fi internet access and a 49" HD TV. This room accommodates up to four people. 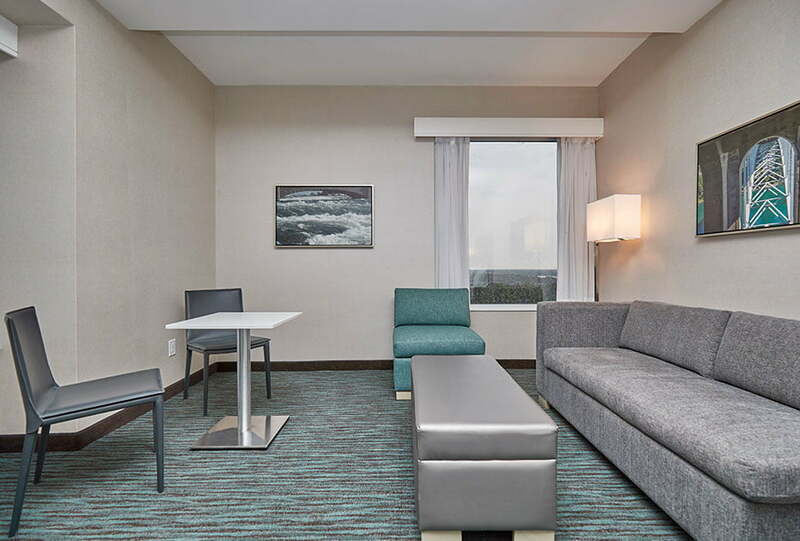 Our spacious family suites offer more space for families to move around. 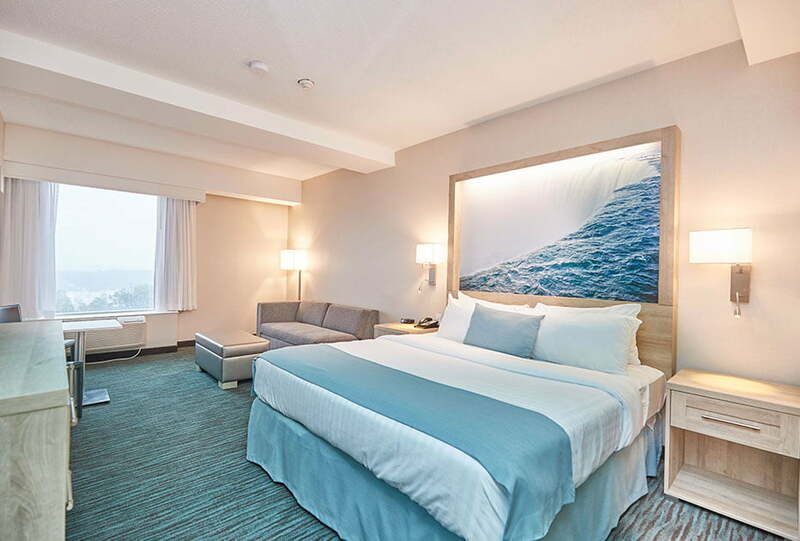 This room features two queen size beds, sofa bed, mini-fridge, complimentary Wi-Fi internet access, coffee maker, hair dryer, iron and ironing board, alarm clock radio and a 49" HD TV. This room accommodates up to six people.